National Award winning Assamese actor Bishnu Kharghoria has been selected for the First Biju Phukan Award 2019. According to information, Biju Phukan Award 2019 has been instituted for the first time jointly by the Assam State (Film and Finance) Development Corporation (ASFFDC) and the Directorate of Cultural Affairs, government of Assam. 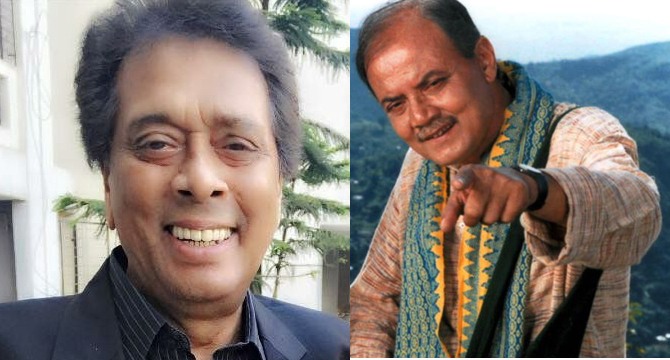 Biju Phukan, popularly called Bijuda, who was the first star of Assamese cinema and an accomplished actor with a charming lopsided smile equally at ease wooing his lady love on camera or in serious roles, died on November 22, 2018. Biju Phukan, who acted in more than 50 films and several plays in diverse roles, was born in Dibrugarh on February 18, 1947. Veteran actor Bishnu Kharghoria started his acting career as a child artist. Kharghoria, who received the National Film Award for the movie ‘Xagoroloi Bohudoor’ has performed in a number of mobile theatres apart from movies. Biju Phukan Award 2019 carries Rs 2 lakh, a citation and an angabastra. As per reports, the award will be presented to Kharghoria on February 18 in a function to be organized on the occasion of the 72nd birth anniversary of late Biju Phukan at Dibrugarh by Assam chief minister Sarbananda Sonowal. According to reports, the award will be handed over by the Assam chief minister in the presence of Assam cultural affairs minister Naba Kr Doley and Dibrugarh Lok Sabha MP Rameshwar Teli.